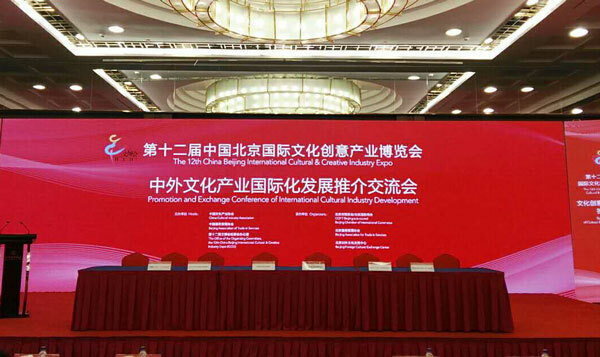 In September 12th, 2017, the international cultural development of Chinese and foreign cultural industries of the 12th China Beijing International Cultural and Creative Industry Expo (ICCIE) was solemnly held in Beijing. Through the interpretation of relevant national policies, the successful experience sharing of Chinese and foreign cultural exchange and cooperation, and the promotion of the Chinese and foreign cultural cooperation and development platforms and projects, the meeting further enhanced the level of international development of Chinese and foreign cultural industries, enhanced the competitiveness of cultural enterprises to carry out international cooperation and promoted cultural prosperity and development. Li Luxia, Deputy Director of General Office of the Organizing Committee of the ICCIE, and Deputy Director of CCPIT Beijing attended the meeting and made a speech. 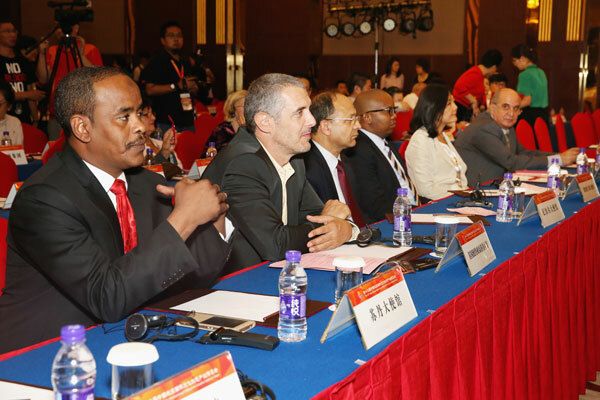 Delegates of Rising (International) were invited to attend the meeting. The ICCIE has a theme of "the Integration of Science and Technology and Culture, and Inheritance, Innovation and Development". It has gathered high-quality cultural industry resources from home and abroad, consciously presented the contemporary value of Chinese culture, and comprehensively displayed the latest achievements of the integration, innovation and development of the China cultural creative industry. In the ICCIE, the experts, scholars, artists and cultural envoys from museum of Russian Repin Academy of Fine Arts,? American Agora Gallery, Germany and other countries mainly discussed the internationalization development of Chinese and foreign industry from the cultural perspective of One Belt and One Road, and shared the successful experience of domestic cultural enterprises to go out, and conducted a promotion for the international cooperation projects and platforms of the Chinese and foreign culture.